loSince his appointment to the Supreme Court in 1988 by President Reagan, the pro-life movement has had high hopes that Justice Anthony Kennedy would be a trustworthy pro-life vote. We had hoped he would vote to completely overturn Roe v. Wade, and if not overturn Roe in total, at least allow substantial limits on the abortion industry. President Reagan meeting with Judge Anthony Kennedy in the Oval Office before nominating him to the Supreme Court. In reality, for the last 28 years, Kennedy has masqueraded as a swing vote. As of June 26, 2016, that masquerade ended with the Supreme Court’s recent decision in Whole Woman’s Health v. Hellerstedt to strike down two key components of Texas’ HB 2 and also to take away most of the states’ abilities to pass limited regulations of abortion before viability. The pro-life movement now has no reason to believe Kennedy is any more than a liberal justice with a pro-abortion agenda. He has squarely joined the four liberal justices to form a solid five vote pro-abortion majority. To hope that Kennedy will vote to uphold any pro-life law having the effect of limiting access to abortion before viability is nothing less than foolish. In the 1973 Roe v. Wade case, the Supreme Court struck down Texas’ law that protected unborn children from abortion and thereby overturned every state’s abortion laws. But Roe v. Wade failed to provide a convincing legal justification for this sweeping result. Justice Byron White, one of the two dissenters, called Roe v. Wade “an exercise of raw judicial power.” Many thought this legal travesty would perish when the new Supreme Court justices appointed by Reagan and Bush 41, including Justice Kennedy, had an opportunity to directly confront Roe v. Wade. An opportunity came in the 1992 case of Planned Parenthood v. Casey, just four years after Kennedy joined the Court. Pennsylvania had passed a bill that included parental consent, spousal notification, and abortion facility regulations. Pennsylvania not only argued that its laws were justified, but also that Roe v. Wade was wrongly decided and should be overturned. Unfortunately, this was not the opinion of the Court. One vote short of overturning Roe, the Court instead reaffirmed Roe, a decision that Kennedy supported. The court did uphold some of Pennsylvania’s abortion restrictions, and pro-lifers took solace in the belief that Kennedy would uphold meaningful abortion restrictions in the future. That belief turned out to be a pipe dream. Had Kennedy joined the four pro-life justices, Roe would have been overturned and states would have been able to resume protecting unborn babies throughout pregnancy. But Kennedy did not. Instead he joined the allegedly middle position, known as the plurality opinion, that in general reaffirmed Roe but also upheld some of Pennsylvania’s laws. That became the binding precedent of the Court. According to Casey, states may ban abortion after a child is viable, except when the pregnancy endangers the life or health of the mother. However, states “may not prohibit any woman from making the ultimate decision to terminate her pregnancy before viability.” Before viability, states may regulate abortions, for example, to ensure informed consent. Pre-viability regulations that have “the purpose or effect of placing a substantial obstacle in the path of a woman seeking an abortion of a nonviable fetus” are an “undue burden” and are not permitted. Many describe Casey as a reasonable compromise — a balance between Roe v. Wade’s right to abortion and the interests of states to protect mothers and unborn babies from the abortion industry. This “compromise” Kennedy joined turned out to be a cruel joke. First, unborn babies achieve viability late in pregnancy, meaning that Casey prevents states from protecting the vast majority of unborn babies from who are at risk of being aborted. Under the best medical technology, babies are viable at 22-23 weeks of gestation (20-21 weeks post fertilization). (A severely disabled unborn child might never achieve viability.) Of the more than one million unborn children that died annually from abortion in the 1990s, the brutal reality was that Casey allowed states to protect fewer than 1 percent. Kennedy was no doubt aware of that. Second, the “undue burden” standard for judging the constitutionality of laws was left undefined. How much of a burden is an “undue burden”? Kennedy wrote a concurring opinion in Casey that gave his interpretation of an “undue burden,” and his interpretation was nearly as bad as it could be. Kennedy affirmed that an individual’s right to consider what he called “the mysteries of life” prohibits states from significantly protecting unborn children from abortion before viability. Kennedy has consistently supported a ban on a particularly gruesome method of abortion known as “partial-birth abortion,” in which a live child is partially delivered and killed before being totally extracted from the mother’s womb. However, he has allowed that ban only because another method of abortion known as “dismemberment abortion” is readily available. In dismemberment abortions, the abortion doctor kills the unborn child by dismembering the baby in the womb and removes the pieces. Both methods of abortion are used during the second and third trimesters. In 2000, the Court considered Nebraska’s ban on partial-birth abortion. In Stenberg v. Carhart, a 5-4 divided Court struck down the ban because it judged the law was too broadly written. The Court held the law would effectively ban not just partial-birth abortions but also dismemberment abortions. Kennedy did not join the five-judge majority opinion. Indeed, Kennedy sharply criticized Breyer’s opinion and took him to task. Kennedy argued that the partial-birth abortions and dismemberments abortions were morally distinguishable, and partial-birth abortion is far more objectionable. “The Court’s refusal to recognize Nebraska’s right to declare a moral difference between the procedure is a dispiriting disclosure of the illogic and illegitimacy of the Court’s approach to the entire case,” he wrote. Pro-lifers took heart. However Kennedy also argued that Nebraska’s ban would have stopped partial-birth abortions without also banning dismemberment abortions. The law did not create an “undue burden” for women seeking abortion in his view. A woman’s right to abortion, which he supported, would not have been impacted. Kennedy made this amply clear when he wrote, “Nebraska must obey the legal regime which has declared the right of the woman to have an abortion before viability.” Many pro-life leaders overlooked Kennedy’s caveat. In 2007, the Court again considered partial-birth abortions, this time a federal ban that was written more clearly to distinguish partial-birth from dismemberment abortions. In Gonzales v. Carhart the Court upheld the ban on a 5-4 vote. This time Kennedy wrote the majority opinion. Breyer voted squarely against Kennedy. Some pro-lifers argued that Kennedy’s majority opinion shows that Kennedy is really pro-life. Kennedy clearly and thoroughly described the horrible partial-birth abortion procedure and noted how similar it is to infanticide. But Kennedy also affirmed Casey and ultimately upheld the federal partial-birth abortion ban because there are other abortion methods available, specifically dismemberment. Thus, even on his best day, Kennedy voted to uphold the federal ban on partial-birth abortion not because a person was being killed, but because there remained other methods of killing unborn children just before birth. In the 2016 case of Whole Woman’s Health v. Hellerstedt, Kennedy showed beyond a doubt that he can be counted on to defend the abortion industry against laws to protect mothers and unborn children from abortion. Kennedy joined the 5-3 majority that gutted key pro-life safety provisions of HB 2. Just like in Casey, if Kennedy had changed his vote in Hellerstedt, the pro-life cause would have prevailed. While Kennedy did not write the majority opinion in Hellerstedt, it is noteworthy that he chose to allow his old adversary, Stephen Breyer, to write the majority opinion, likely signaling Kenney’s new alliance with the four solidly pro-abortion justices. Breyer’s opinion in Hellerstedt, supported by Kennedy, goes through unprecedented legal gymnastics to reach the desired conclusion that the Texas law is unconstitutional. Breyer struck down HB 2’s requirement that abortionists have admitting privileges at local hospitals even though the abortion industry failed to appeal an earlier 5th Circuit ruling that upheld the requirement, violating the principle of res judicata. Breyer struck down that requirement everywhere in Texas, even though the plaintiffs requested that the law be struck down as applied in specific locations (El Paso and McAllen), violating the usual principle that the Court only awards relief that the plaintiffs request. The Court also decided that it was unconstitutional to require abortion facilities to meet common-sense ambulatory surgical center safety standards used in hundreds of locations across the state despite the fact that the plaintiffs failed to prove that even a single woman had been or would be unable to obtain an abortion because of HB 2. But the most amazing and dangerous legal contortion was to change the already dubious “undue burden” standard regarding the basis for the law. No longer is it important whether a legislature believes there is a “rational basis” (as opposed to an arbitrary basis) for the law, the previous standard. Instead, the Court changed the standard to be whether the district court believes there is a rational basis for the law. This puts the legislature at a huge disadvantage. Federal court rules allow that whoever files a lawsuit gets to choose which court to file it in. When the abortion industry challenges a law, they get to pick the court. Now they only have to convince their hand-picked judge that the law is unreasonable, because no deference will be given to the state legislature. The new legal standard established in Hellerstedt, thanks to Kennedy, places all protective pro-life laws at risk. Taking advantage of the ruling in Hellerstedt, the abortion industry has already filed challenges to numerous currently enforced pro-life laws. These laws will not survive for long. The Kennedy majority on the Supreme Court will seriously hamper the ability of state legislatures to pass protective laws that will not be struck down by the federal courts. One could argue that there might soon be vacancies on the Court that will change this. There is already one vacancy on the court due to the death earlier this year of Justice Scalia. That vacancy will be filled by President-elect Donald Trump next year. He has said his pick will be from a list of potential nominees that the pro-life community sees as excellent. But even if the new justice is a worthy successor to Scalia, there will only be four pro-life justices on the Court, not a majority. Justice Kennedy has joined the four pro-abortion justices to form a new majority. The Kennedy majority will rule the Supreme Court until one or more of the five pro-abortion justices is replaced by pro-life judges. 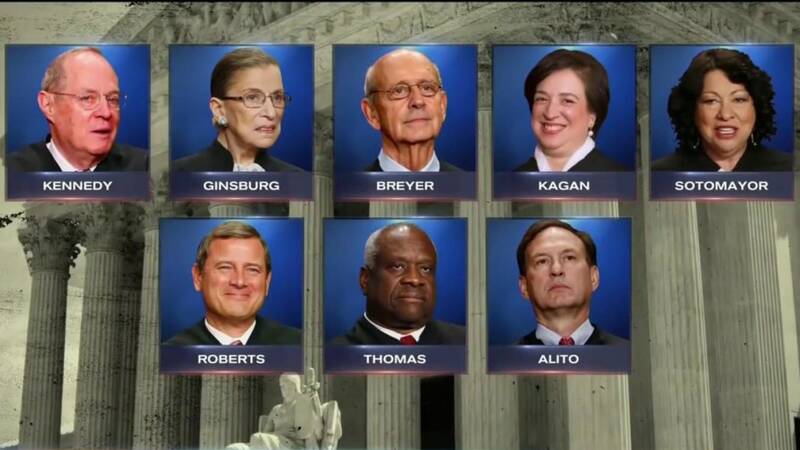 This could happen at any time as several justices are advanced in years. But it may not happen for years. For the foreseeable future, the situation is grim at best for any pro-life law that arguably makes it more difficult to any woman to get an abortion.